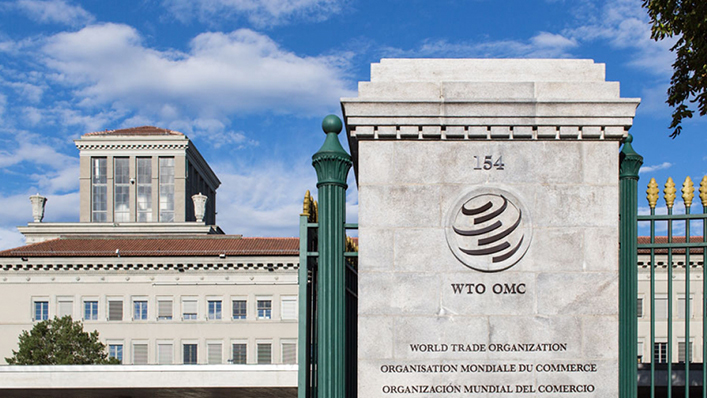 Today I had another long phone call from a UK diplomat working on the WTO rectification process in Geneva. The general gist of it is that the process at the WTO is on track and though there are those trying to make out that we've hit a road block, they do so dishonestly. It was always going to be the case than one or two countries would use the process to leverage concessions from the UK. The UK saw it coming and attempts to stall only work if we make concessions - which we won't as I understand it. We will argue it at the WTO and if anything that will stall any conclusion for a long time. The EU operated with uncertified schedules for 18 years. It's not a show stopper. The UK can go ahead with the scheme anyway and let the procedure take its course. It is unlikely that any appeal will succeed. 4. If there isn't a deal with the EU then none of it is going to matter. We are too buggered for any of it to matter. A point underscored is that we will be able to roll over UK trade deals at least for the duration of the transition with the EU's assistance (however long that would be) - but beyond that it is anyone's guess and not the EU's problem. It wouldn't have been much of a problem had we stayed in the EEA but it certainly will be now since anyone who has a deal with us will have diminished benefits and the UK would have overly advantageous preferences. The overall view, though, seems to be that the EU is playing tactically to keep us in the single market and the customs union, but not making a very good job of it politically. The options certainly seem to be narrowing to the point where the EEA is the only option that makes any kind of sense. Meanwhile, if there is to be a deal then there is no backing out of the backstop. As to the USA blocking the WTO GPA accession - he reckons it's a bluff to get us to make more concessions - but they will back down because the UK is the second most lucrative market in the GPA and nobody wants us to drop out. I half suspected that which is why I didn't bother to blog it at the time. More generally he made an interesting remark that the UK is struggling because, though we used to have the domestic negotiation capacity with some of the best people in the game, as the EU has assumed more competences we have let that institutional knowledge melt away so now we are sending Shermans against King Tigers. He also noted that many key trade competences were acquired by the EU not as a result of a treaty. The UK used to negotiate its own transatlantic aviation deals but the Commission took this to the ECJ and won - thus the EU henceforth took over - actually killing ongoing negotiations and we had to let some of our best negotiators go. This, to me, is actually a chief reason for leaving the EU. Without there ever being a political process or a public debate powers are handed to Brussels and our politicians would never even know unless they followed the ECJ closely. It is a silent thief of power and denudes our government of its ability to operate internationally. It explains much of the manifest incompetence on display. Our diplomats could make a better case for leaving than I ever could. I am though, reassured in this instance. You know me, you know I criticise government and its handling of Brexit and yes, we have made some avoidable errors, but on this, we are playing it as well as can be with the hand that we have and we have some of the best people you could hope for. Our chap very much does know what he is doing and he is no fool. I am confident of that. He is pretty much of Ivan Rogers calibre and is under no illusions. Ultimately this is a dry area and the only reporting you will see of this part will attempt to sensationalise the distinctly unsensational. They make drama where there is none. I certainly did not get the impression that any of this was insurmountable. What matters is securing a withdrawal agreement. If that happens then Efta EEA is still an option and one which, politically, will have more traction after Brexit day. My post last night was not at all buoyant, and this doesn't really change my view that things look grim, but it's very much like British weather. It may be raining now but tomorrow it could be clear skies and smooth sailing. Relatively speaking. What concerns me, though, is that it is still very much the prevailing view that the EU, should it opt for the EEA, there will still need to be a customs union. There really isn't any thinking going on right now. It's just an article of faith. When you look at the direction of travel of the Union Customs Code, already mandating electronic declarations, combined with the obligations under EEA to simplify customs formalities, there would be very little left that necessitates any kind of border infrastructure that could not be addressed more effectively by other means. With the EEA in hand it is only a matter of political will. This is where the EU is playing it quite poorly. If it is the case that they want us to stay in the single market, which in my view is a tolerable compromise, there is nothing more likely to scare off moderates than the threat of a customs union. The vote to leave the EU was to become an independent country and a distinct customs entity in charge of its external relations. Signing up to a customs union not only resolves little, it also stores up political problems for the near future. The core fault here is a failure on both sides to fully appreciate the nature of the EEA agreement. Just because Norway has not fully utilised the tools available to it does not mean there is not scope to eliminate the checks it currently operates - most of which are a result of the VAT border - and if they ever sign an VAT agreement then their own border posts could likewise be eliminated. The question nobody asks is why they haven't. Put simply, there isn't the political imperative, whereas there is with Northern Ireland. What most fail to appreciate is that the EEA is an adaptive framework where no two EEA members have precisely the same relationship and the system is designed for country specific protocols. It is not beyond our abilities to come up with an alternative. This year humanity managed land a rocket vertically and send a sports car to Mars yet resolving what is essentially an admin issue is viewed as impossible - for which the technology apparently does not exist despite UNECE, IBM and the EU saying to the contrary (when not speaking in relation to Brexit of course). Many ascribe political motivations for pushing for a customs union but this is as much to do with Barnier's advisers being only marginally better informed than UK policy wonks and once they grasp the wrong end of the stick there isn't much chance of dissuading them of it - especially when the opinion carries prestige. To get past this roadblock would really require the UK to take the initiative and set out a vision of how it would make the EEA work - where I suspect, were we to see that kind of decisive action from the UK government the EU would then be open to facilitating a UK customs chapter without locking us in a union. We just have to get that far which at this point seems remote, not least because our own luminaries cannot get their heads around the basics. It is, therefore, business as usual for this blog. 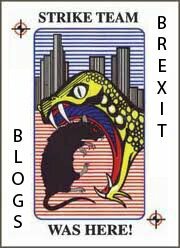 If there is no deal then it's game over and we are left to pick up the pieces. If there is a deal then much of what is in it can be undone so long as we can come up with better, more workable proposals in which case there is still every point in pushing the EEA. It ain't over til it's over and the Efta threads we can pick up and run with at any time. The game is very much still in play.